•Case studies drawn from elements of the process with actual customers and shown at the code level. We will also share some of the excellent compatibility results that our customers have found during the early access program. 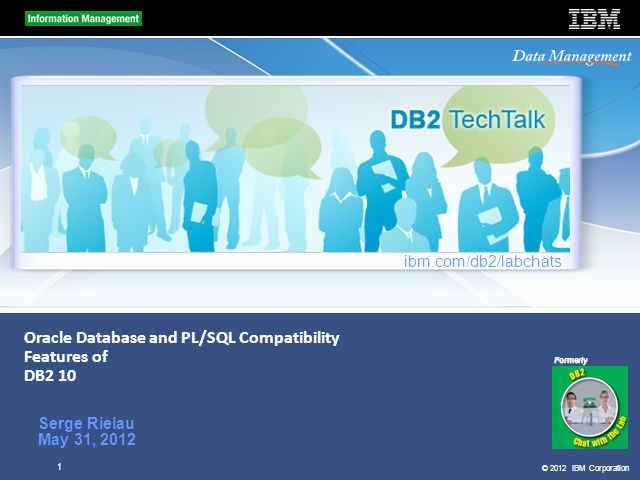 Serge Rielau, SQL Architect for DB2 for LUW , is from the IBM labs and is both your host and presenter. Note that the start time is 12:30 PM ET and that you may be seeing this time translated into your local time zone.